Shop our beautiful range of wooden and metal tea sets for endless cups of tea and delicious looking cake. 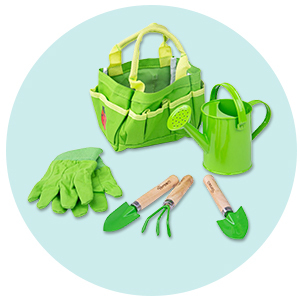 Children love to play pretend and develop all sort of key skills through role play. 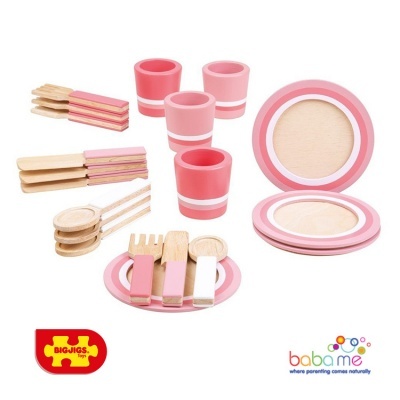 For many children making a cup of tea is something they see happening multiple times a day and so what better toy than a wooden tea set to allow them to use their imagination, develop vocabulary and learn to make you the perfect cuppa. 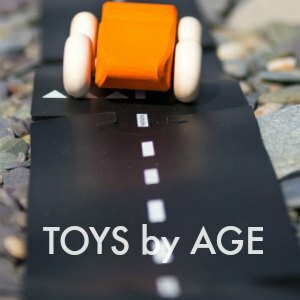 These sets make the perfect gift for birthdays or Christmas, and they can have their own little party every time they get it out of the box. A wooden tea set is a toy that will be played with for years to come. We stock a lovely range of tea sets that come with teacups, teapot, tray and everything else you need for the perfect cup of tea made by a toddler. 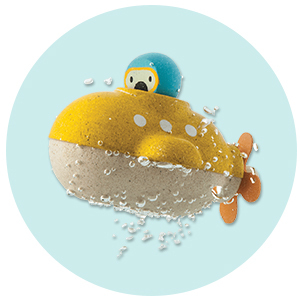 Every item is designed with kids in mind, meaning they are safe for play. If you are after a wooden tea set then there are plenty to choose from. 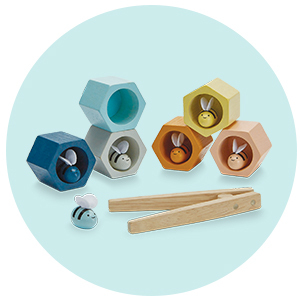 The Plan Toys Tea Set has a gorgeous natural wood finish and comes with a teapot, two cups and saucers, teaspoons, a milk jug, a sugar pot and even two little wooden tea bags. 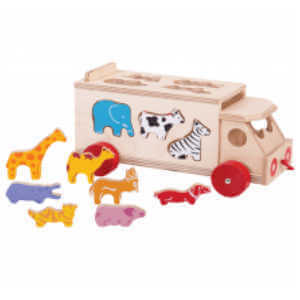 This is a lovely set for encouraging imaginative play and perfect if you prefer natural looking toys. 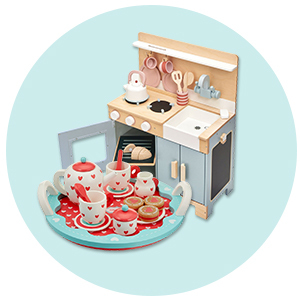 The Big Jigs Tea Tray is another lovely simple set that perfectly matches the Big Jigs Play Kitchen and their other accessories including the dinner set, kettle and toaster. Again this set has a teapot, two cups and saucers, spoons, a milk jug and sugar pot. The Djeco Tea Time Set is another lovely simple set with a beautiful bird decoration on the teapot and a lovely pattern on the tray. You don’t get a milk jug with this set but the beauty of the teapot, cups, saucers, spoons and sugar pot more than make up for it. Because let’s face it tea is always better with cake especially if you’re a child. The Djeco Foxes Party Set, like most Djeco toys, is a stunning set. The gorgeous fox design and funky patterns on the cups, tray and even the tea bags are sure to be a hit with both boys and girls. You also get a delicious looking cake to share, complete with four candles. The Indigo Jamm Heart Tea Set is another lovely set featuring a super cute heart pattern. It comes with a teapot, two cups and saucers, a milk jug, sugar bowl and a plate of three scrumptious looking jam filled biscuits. Indigo Jamm also does a flower party tea set which comes with cupcakes rather than biscuits. Alternatively, we have some great tin sets that are ideal for picnics in the garden and won't mind if you fill them with water (providing you let them dry properly afterwards). The Big Jigs Spotted Basket Tea Set is small but perfectly formed and has four place settings of a cup, saucer, spoon and cake plate. So it’s perfect if you want tea for more than just two. Children love packing everything into the little basket and setting up a picnic whether or not the weather is good enough to go outside. Tidlo also does a lovely tin tea set with a fruity design which again as four cups and saucers, plates and spoons. Plus, a lovely little tray to deliver drinks and cakes to guests. It goes without saying that no cup of tea should be enjoyed without a tasty treat. Whether it's a sneaky biscuit to get you going in the morning or a full on spread for afternoon tea, we have loads of great items of play food that will mean tea time is always delicious. Choose from beautiful big cakes to slice and share, a cake stand full of tantalising morsels or the Big Jigs box of biscuits that really does look good enough to eat. The Big Jigs cakes have velcro keeping the slices together and come with a wooden knife so your little one can cut a piece for everyone, practising their knife skills at the same time. All the cake stands are full of delicious treats that would be perfect for a teddy bears picnic or afternoon tea. 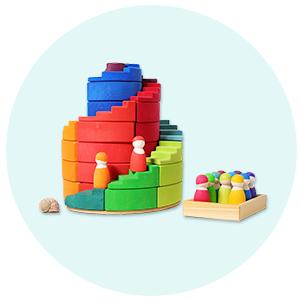 We love the Tidlo one because each beautiful cake has its own hole on the stand meaning it’s a shape sorting toy as well. And you will be totally forgiven for wishing you could take a bite out of the Big Jigs Battenburg or macaroon. 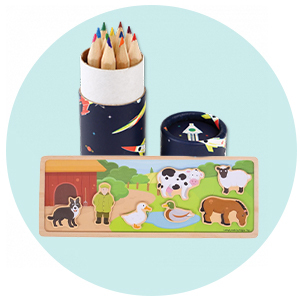 The Big Jigs Box of biscuits and the Indigo Jamm Biscuit Barrel are both incredibly popular with kids and grownups alike. And would certainly make the perfect partner to any of the tea sets. 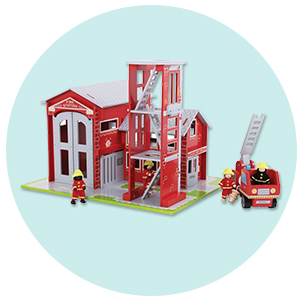 We particulary love the Big Jigs set which has all your favourites each in its own compartment. And if you are looking for something a bit different then we think you will love the new Pirate and Princess Cakes by Djeco. These fab creations will add a touch of whimsy to any tea party and are perfect for getting those imaginative juices going. Pretend play is a great way for children to develop social skills. When they play pretend they get to take on different roles and think about walking in other people's shoes. Through this they can develop empathy, to take turns, sharing. Problem-solving during play will also develop their resourcefulness, reasoning skills and creativity. All vital skills that they will employ throughout their lives. Playing at making drinks and cakes for a tea party they will be taking on the role of mum or dad or perhaps a cafe owner or host at a party. Using language they’ve heard to develop the game and imagine themselves in their new role. Asking what different toys would like to drink if they take milk or sugar and which cake they would prefer. By doing this they are learning the importance of communication and the power of words. For older children wanting to invent a menu or write down orders like they have seen people do in cafes and restaurants will also nurture a desire to read and write as they can see a benefit to it and a purpose for play. Playing this way also allows for emotional development. They might act out the disappointment of not being able to have the cake they wanted or use their cognitive skills to problem solve and come up with a sharing solution so that everyone is happy. 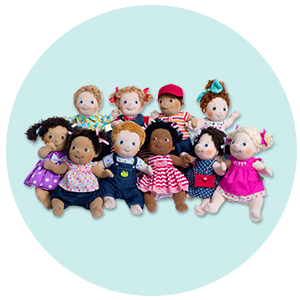 Or you might see them caring for a doll or other toy in the same way that you care for them developing empathy. They’ll employ maths skills to make sure each guest has a cup and a cake for afternoon tea. And might also need to count out chairs or place settings. All great practice and they’ll be learning and practising their skills without even realising it. Sharing things out to make sure everyone has the same amount is another example of maths coming into play. If you are playing cafes you can ask for the bill and then ask for your change. For toddlers, this will be a general concept but as children get older they will delight in adding up how much your tea and cake cost and calculating how much change they should give you. The Goki Till even has a built-in calculator so it’s great for practising math skills as well as number recognition. Kids can add the price of a cup of tea and a slice of cake and then make sure they give you the correct change. Although you could always leave a tip for excellent service.